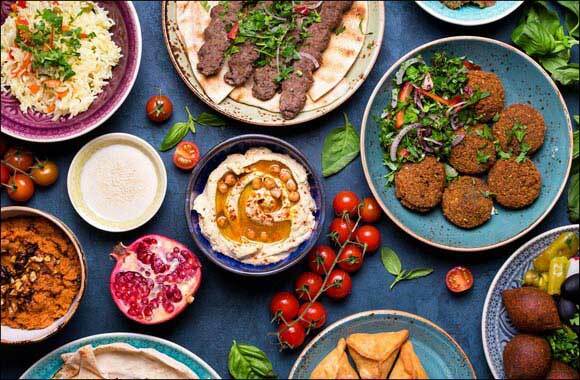 Dubai, UAE, April 09, 2019: With Ramadan just around the corner, DoubleTree by Hilton Resort & Spa Marjan Island is hosting its annual Ramadan Iftar in a warm and familiar setting at Meze restaurant. Experience traditional Middle Eastern hospitality at this Turkish restaurant that serves vibrant flavors, including fresh mezze platters and much more. Take on a trip inspired by the beautiful colors and tastes of the orient's spice markets. Enjoy great food in a stunning setting and spacious terrace with its panoramic views of the Arabian Gulf. Priced at AED130 per person, Ramadan Iftar at Meze is an ideal social affair and can be shared and enjoyed with family, colleagues and friends alike. This sumptuous feast is also inclusive of non-alcoholic drinks, coffee and tea. DoubleTree by Hilton Resort & Spa Marjan Island is located in a stunning location and offers panoramic sea views from spacious guest rooms with direct access to the beach. Guests can relax on a private, white sandy beach, swim in one of the seven temperature-controlled pools, or indulge in a therapeutic treatment or massage at the spa.